Angola Welcomes the World! Travel and Tourism on Fast Track!  I am Angola, a land that holds great promise in the many avenues of travel, tourism and hospitality - growth industries destined to employ and involve an increasing number of my citizens as time marches on. I greet you and invite you to explore all corners of the land, where you will meet a cross section of my people, whose warmth and friendship will remain in your hearts and minds for a lifetime. The African Business Travel Association (ABTA) will be encouraging Angolan business travel professionals to work together towards improving their relationships with potential Travel Agency, Airline and Hotel Partners. ABTA�s next event in Luanda on 11 September at The Talatona Convention Hotel will provide a platform for these industry sectors to come together to share their current challenges in developing strong partnerships, encouraging improved communication, and brainstorming solutions that will benefit Travel Agents, Airlines, Hotels, and the Clients they service. The ABTA Forum - which is open to all business travel industry professionals � will feature a panel of experts discussing the current competitive environment, addressing the reasons behind this, and potential solutions. There will also be a session focusing on the value of Travel Agents and how they can better communicate this value to their clients so that they are not just seen as a travel booking channel, easily replaced by internet or direct bookings. Finally, the event will end with an industry discussion where all delegates can participate in sharing their challenges and brainstorming workable solutions to improve partnerships. Angola Welcomes the World: Travel and Tourism on Fast Track! Angola is a success story in the making -- a fascinating, uplifting saga of recovery, renewal, revival, restoration, and a massive face-lift for Luanda and points beyond. Shout it from the rooftops ... "Peace has come to Angola -- at last it can be told." This resource rich republic on Africa's South Atlantic Coast has finally escaped the shackles and shadows of its topsy turvy past, and is becoming a shining example for emerging countries around the world. Thanks to its presence in Angola, the Africa Travel Association (ATA) is the first international tourism organization to spread the good news far and wide, in North America and to its growing global audience. I saw the signs a few years ago, when Angola exhibited at an ATA Congress Trade Show. That positive move signaled the country's desire to get back on track for tourism -- and due to continued efforts by H.E. Eduardo Jonatáo. S. Chingunji, Minister for Hotels and Tourism, ATA has become the platform for Angola's happy return. Not only was ATA's Ninth International Cultural and Ecotourism Symposium awarded the prestige of a state event, a significant, lasting benefit was the inauguration of an active Angola Chapter of the Africa Travel Association, with the Minister as Honorary President and First Lady Dr. Ana Paula dos Santos as its Patron. Exploring the Host City: In late October, 2005 the stage was set, as delegates, speakers and dignitaries from Africa, the USA and Canada began arriving in Luanda. Some came in advance and seized the opportunity to discover the host city's scenic and cultural attractions, starting with a leisurely stroll along the 'marginal,' a wide pedestrian seawalk that extends from Le Presidente Meridien hotel, the Port Authority and Tourism Ministry offices for ten or more city blocks. The Portuguese colonial architecture is magnificent, with edifices such as the rose colored Banco de Angola; building cranes on the skyline attest to the rapid development taking place. The Tourism Ministry provided a bus trip around the peninsula, where a miniature Coney Island anchors the far end of the narrow strip, and facing the ocean on both sides of the road is a string of delightful beach front restaurants for every taste, many with lively, upbeat entertainment, discos and casinos. Rui, our tour director, treated us to refreshments at his personal Hernando's hideaway, a laid back bistro called Coconuts, where you could drink, dine or dip and dive in the rolling surf. Other stops included a shopping spree at the Artesanat Market and a 'cooler' at Jango Veleiro. An evening cocktail party at Le Presidente Meridien gave visitors a chance to rub elbows with their host country colleagues. Jerry W. Bird, Chief Margaret Fabiyi, Robert Eilets, George D'Angelo and Terry Leonard. The Ramparts We Watched: The most breathtaking views of Luanda port and the bay area, are seen from the historic white-walled Sao Miguel Fort, perched like a proud sentinel high above the city. From here, Luanda Bay, with its many shades of blue, is lined to the horizon with craft of all types, sailboats, sleek motor launches, barges and freighters. Inside the fort, elaborate ceramic tiles tell the story of Angola from early years, and in the courtyard are large, imposing statues of Portugal's first king, renowned explorer Vasco de Gama and other notables. Rusty relics of the recent civil war, mark the Armed Forces Museum on this site as a living testament to the folly of war and the hopeful emergence of Peace Through Tourism. Today's only battles are in the Olympics and on the basketball court, where Angola's stars shine, and on the football field, where the Angola team has qualified for the World Cup for the first time. While we stood there in awe of this national treasure, a crew was rolling out reams of red carpet for an Independence Day event, one of many activities held at Luanda's most famous landmark. An outstanding dinner cruise by motor launch to Mussulo, one of the sun-kissed, palm fringed islets on Luanda Bay, rounded out our taste of a great city that is about to reclaim its stature, not only as a magnet for business, but as a fun place for visitors from many lands. Getting Down to Business: The opening ceremony on Monday October 31 at the Palace of the Congress, featured addresses by H.E. 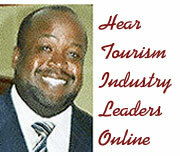 Eduardo J. S. Chingunji, MP, Minister of Hotels and Tourism, Republic of Angola, the U.S. Ambassador Cynthia Grissom Efird (who hosted ATA delegates at her residence later in the week), ATA Executive Director Mira Berman and ATA First Vice President Gaynelle Henderson-Bailey. As Honorary Chapter President, the Minister stated, "After Angola became an effective member of the Africa Travel Association, the inauguration of the Angolan chapter on the 27 of October 2005 represented the high point in the structural and organizational process of its participation in this important institution." He went on to say, "The gathering of such distinguished individuals here today, to help launch the Angola chapter is proof that ATA can count on the goodwill and solidarity of the people of the land of the Palanca Negra and the Weltwishia Mirabilis represented by the members of this chapter." If it is Good News - it Must be Africa : "Using the Media to Change the Way the World Looks at Africa, " was the theme for an International Media Panel moderated by Karen Hoffman, ATA Press Director and Vice President, The Bradford Group, New York. Panelists included Charles Gatt Jr., Publisher, Travel World News; Jerry W. Bird, Editor and Publisher, Africa Travel Magazine; Terry Leonard, Southern Africa Bureau Chief, Associated Press and Sandy Dhuyvetter, President, TravelTalk Radio. This working luncheon provided tips on getting the good news about Angola and other African destinations out via print, broadcast and the internet media. Of special note is the fact that the entire event through November 4, was recorded on video and audio by TravelTalk Radio for broadcast throughout the USA and worldwide. 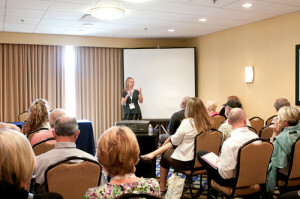 Many of the symposium participants were interviewed and the results may be seen and heard on the internet. The Cultural Foundations of Tourism: Moderator for this lively panel was Dr. Gaynelle Henderson- Bailey of Henderson Travel Services, ATA First Vice President. Key topics included: Outcome of the ATA Eighth Cultural and Ecotourism Symposium in Kampala - by H.E. Akaki Ayumu Jovino, Minister of State for Tourism and Antiquities, Republic of Uganda. Last year's symposium was a significant landmark, as it was the first time a head of state, in this case, H.E. President Museveni, made a personal invitation, and Uganda's First Lady became patron of the country's first ATA chapter. 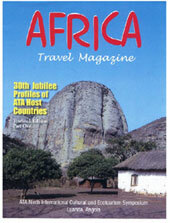  Tourism attractions in Urban Cultural Venues within the African Continent- by Patricia Walker, The Cultural Explorer.  National Heritage Conservation Commission of Zambia - by Maxwell Zulu, Education Officer.  South Africa's Department of Environmental Affairs and Tourism - by Violet Tsepane. South Africa has been an ATA success story, with chapters in four provinces, and more on the way. Ms. Tsepane stressed the importance of members attending Indaba 2006 Conference and Trade Show, to be held at a convenient time, following the 31st ATA World Congress in Ghana, May, 2006.  The African Diaspora Heritage Trail - by Dr. Gaynelle Henderson- Bailey. ATA members welcomed news about the renewal of this key project, a report on the planning conference in Bermuda and future events involving ATA and the Caribbean Tourism Organization. An inauguration of the Craft, Cultural and Tourism Fair was held across Luanda Bay near the Panorama Hotel.